Love, Shelbey: NARS All Day Luminous Powder Foundation - "Fiji"
NARS All Day Luminous Powder Foundation - "Fiji"
My search for a good compact powder foundation came to a vast halt for quite some time. 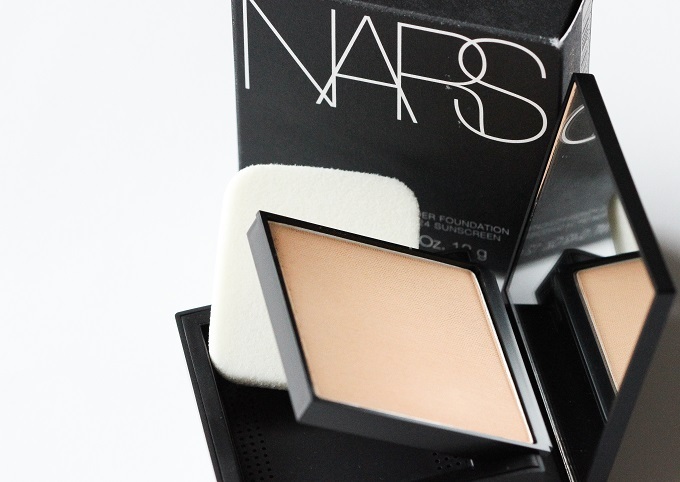 A couple weeks ago I saw that NARS has just released their brand new "All Day Luminous Powder Foundation".... I immediately jumped on it. The entire All Day Luminous collection holds 15 foundation shades to choose from. The color selection was hard for me to pick from because my usual NARS foundation shade (Cylan) was not a part of this collection, plus I have been self tanning lately. I chose "Light 6- Fiji" which is one shade darker from "Cylan" in the other NARS foundations. "Fiji" is described to be for light skin tones with golden undertones. 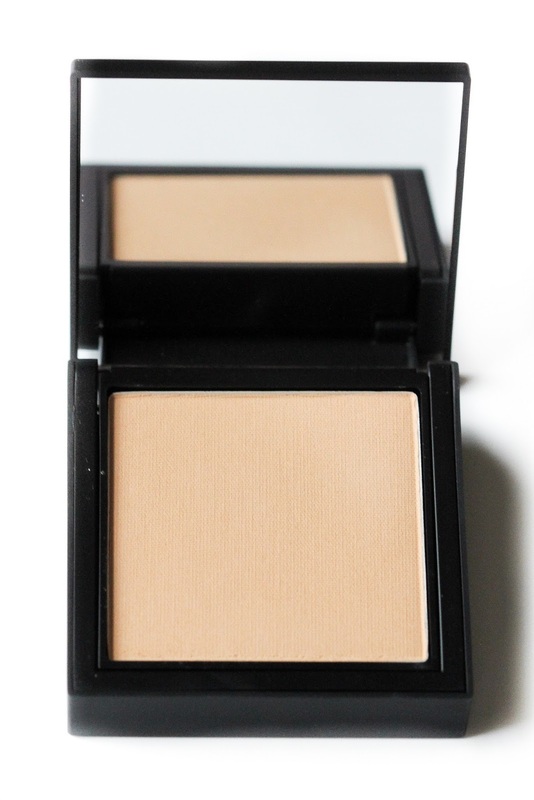 The finish is very similar to most compact powder foundations I've tried. I would describe it somewhere between a luminous and matte finish. I definitely don't feel that the "luminous" claim in this foundation is all there. It doesn't completely mattify my skin, but a noticeable glow isn't there either. The website describes the finish to have "velvet luminosity" which doesn't make much sense to me....just thought I'd throw that out. For me, this gave my skin a medium to full coverage. I was impressed because the application felt light weight. I used a synthetic Kabuki brush to apply it first and I noticed how finely milled the powder was as soon as I dipped my brush into it. I was glad to see it grabbed quite a bit of product! Although I was able to get full coverage from this powder, I think it is also adjustable. A quick brush over the face will also provide you with sheer to light coverage. I also used it with a damp beauty blender and I felt like it gave a fuller coverage look by doing that. Overall I was able to get around 9-11 hours of wear out of the powder before I felt like I needed some touching up. I would definitely consider it long wearing and for all skin types (more so for normal skin types). Fiji is currently too light for me - not dramatically but I should have went with "Santa Fe" (I've already re-ordered lol) It's the perfect color for winter but I applied a TON of bronzer to give my skin more color in the photo below. Despite having a yellow undertone, it didn't give a yellow cast at all. I'm a fan. Not completely blown away, but I'm impressed. I would have liked to have seen more of the "luminous" claim come through but other than that, it's working for me! I will say that by using my damp beauty blender, I was able to get a more "skin-like" appearance so I will probably be sticking with that method! Have you guys tried the All Day Luminous Powder Foundation yet? Thoughts? 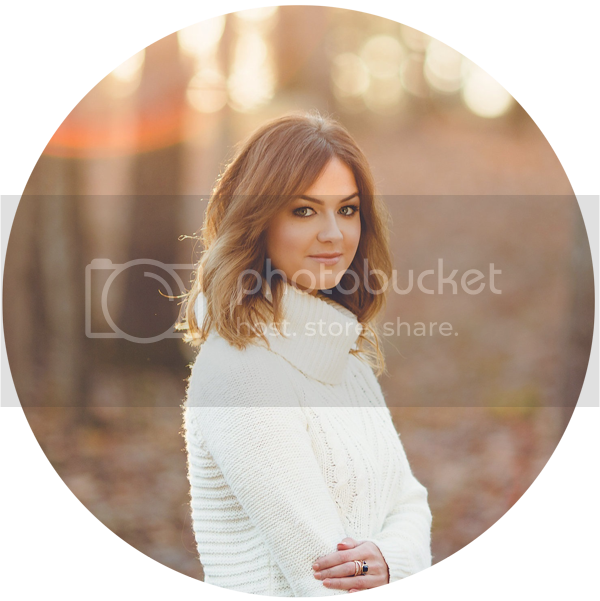 I love my cream compact :) Thanks for stopping by! If you're looking for an excellent contextual ad network, I recommend that you take a look at Chitika. The individuals could take pleasure in on the internet radio networks utilizing the net presets. itunesappdownload Google Songs Supervisor will certainly start publishing the songs materials from it. This makes sure that the device will certainly WaterSoftenerControl hard water being used in your home and the problems it's causing. WATER SOFTENER - WHEN I HAVE A WATER SYSTEM? water-based home appliances. In addition WATER SOFTENER - WHEN I HAVE A WATER SYSTEM? wind up being left behind as a residue which builds up gradually-- Must See it frequently calls for the acquiring of special this website really something you desire in your home.